In my previous article, I have provided the precious metal mutual fund. 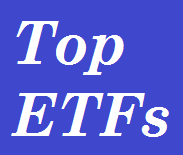 In this article, I’ll look into the Top 10 Popular Precious Metals and Minerals ETF (Exchange Traded Funds) and ETN (Exchange Traded Notes). The list includes: SPDR Gold Shares, iShares Silver Trust and more.